Let’s face it, life is very stressful. Every day creates a new challenge. Some people have full-time work schedules and families to tend to, while others have to make it on time to school and work, there never seems to be an end for the stresses of life, so how can one possibly get a good workout in? 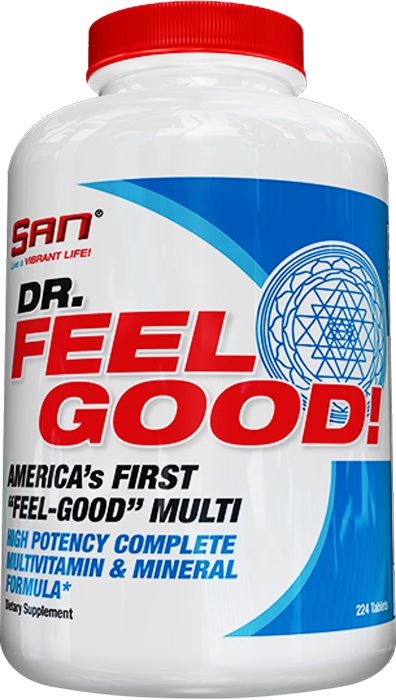 That question has been answered by SAN Nutrition and its amazing product Dr. Feel Good. Dr. Feel Good is a one of a kind supplement that gives you energy when you need it to make an impact for your workouts and the essentials to promote a healthy lifestyle. Powered by core ingredients that provide all athletes with the full-spectrum of vitamins, minerals and antioxidants at maximum dosages. You can’t help but feel good while taking Dr. Feel Good. Dr. Feel Good promotes brain function, focus, memory and learning. It also supports optimal health, mood and vitality. There are too many benefits to adding this supplement to your regimen that you can’t do without. Dr. Feel Good is a health supplement that will improve your health in every way. You can look to see results in improving brain function, focus, providing the body with energy, and improving your overall health. Take Dr. Feel Good and feel good about your health! 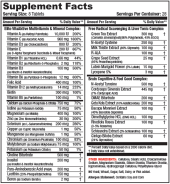 As a dietary supplement for both men & women, take 4-8 tablets daily with food. Keep Out Of The Reach Of Children. Temporary flushing and/or itching of the skin may occur. Liver function testing is recommended when niacin is taken in excess of 500 mg daily. Those with gout or liver diseases should avoid taking high doses of niacin. Consult with your doctor before using this product if you are taking anticoagulant medications. Biotin – Biotin plays a key role in the body. It supports the health of the skin, nerves, digestive tract, metabolism, and cells. Vitamin C – Vitamin C helps tissue and bone grow and repair themselves. While vitamin C supplements are extremely popular, research has yet to establish solid health benefits. disease. Chromium – Some studies have shown that chromium supplements may be helpful for people with type 2 diabetes and insulin resistance. Selenium – Selenium has attracted attention because of its antioxidant properties. Antioxidants protect cells from damage. Potassium – Potassium is a mineral that’s crucial for life. Potassium is necessary for the heart, kidneys, and other organs to work normally. Zinc – Zinc keeps the immune system strong, helps heal wounds, and supports normal growth. Bacopa Monnieri Extract – This is used in traditional Indian medicine to increase memory. Ginkgo Biloba Extract – Extracted from the Gingko tree and has been believed for centuries to help boost memory. Q. Does Dr. Feel Good have any allergens I should be worried about? A. Yes, but only if you are allergic to soy and corn. Q. What is the best way to take Dr. Feel Good? A. The serving size is 8 tablets a day. Taking two tablets around each meal and before bed would be a good schedule to follow. A. There are 224 tablets in each bottle. Keep in mind there are 8 tablets to be taken each day, so each bottle lasts around 28 days. Q. What makes Dr. Feel Good the best? A. There are simply too many health benefits from taking this product to not take it. 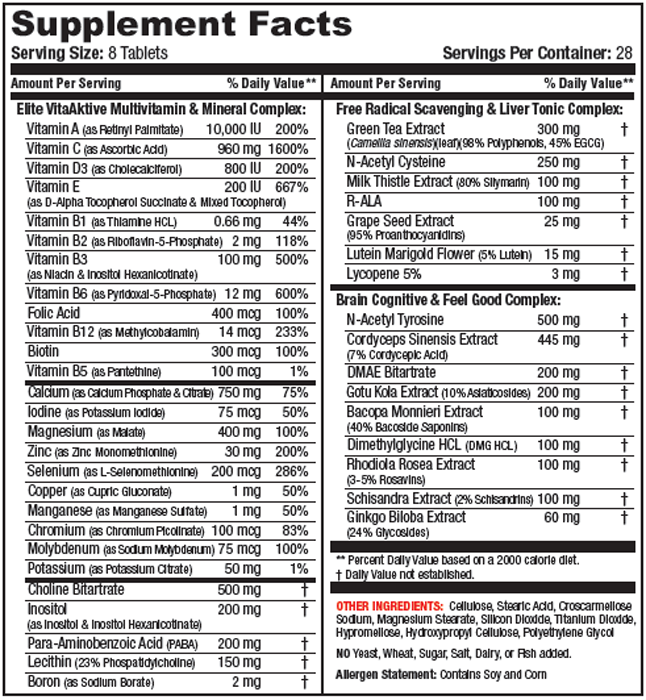 There is a great combination of vitamins and essentials that our bodies need that make this product stand alone as the best. Q. What are the benefits from taking Dr. Feel Good? A. Dr. Feel Good is a one of a kind supplement that gives you energy when you need it to make an impact for your workouts and the essentials to promote a healthy lifestyle.